A brief microgeographical journey, connecting micro and macrocosm. A damp concrete wall supports a green photosynthetic ecology. 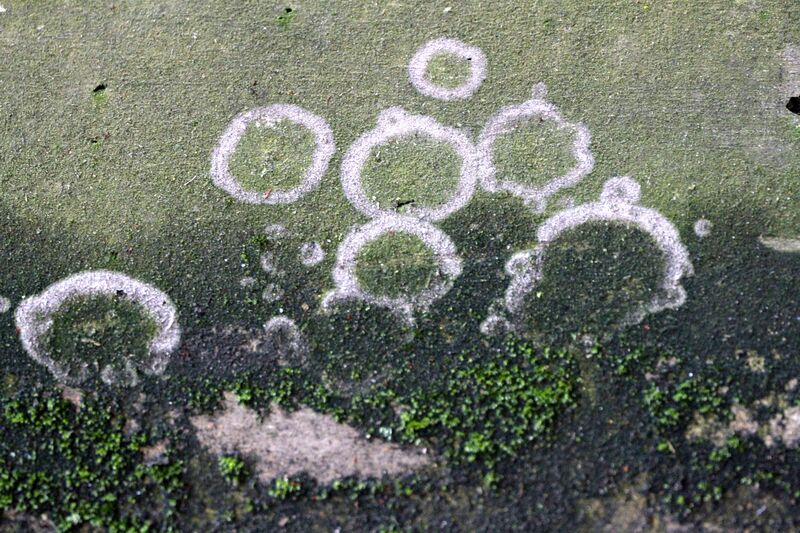 Within the algal continuum there are white circular zones of inhibition where the underlying concrete has been revealed and I’m guessing that this is caused by a fungus producing a metabolite that is killing the algae. Perhaps this could be explored as a natural herbicide. The video shows the same ecology at 1000x magnification, revealing a thriving community of algae and bacteria.